With school starting up this month and the return of many after school activities, the focus on family down time can be pushed to the back burner. While we sometimes have to do a give and take at home, it is so important to carve out time for your family. This could be setting aside twenty minutes a day or a couple of hours together once a week. It is important to choose what works for your family so that way you know you will stick to it. 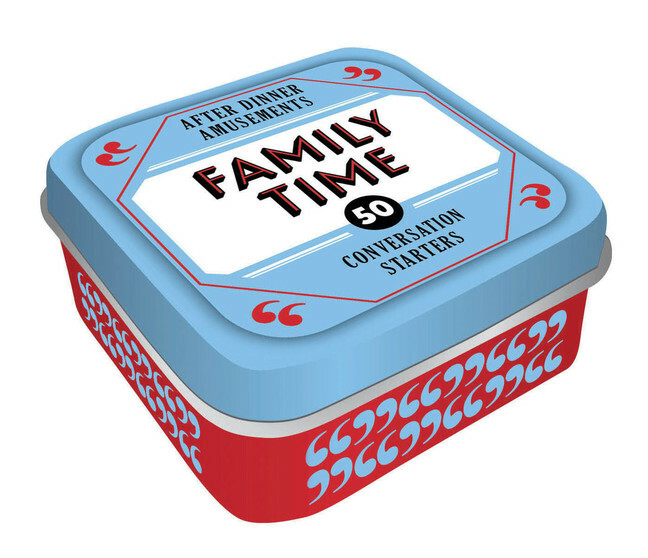 The best way to use that family time? Play fun and interactive games and activities that get you talking and laughing! 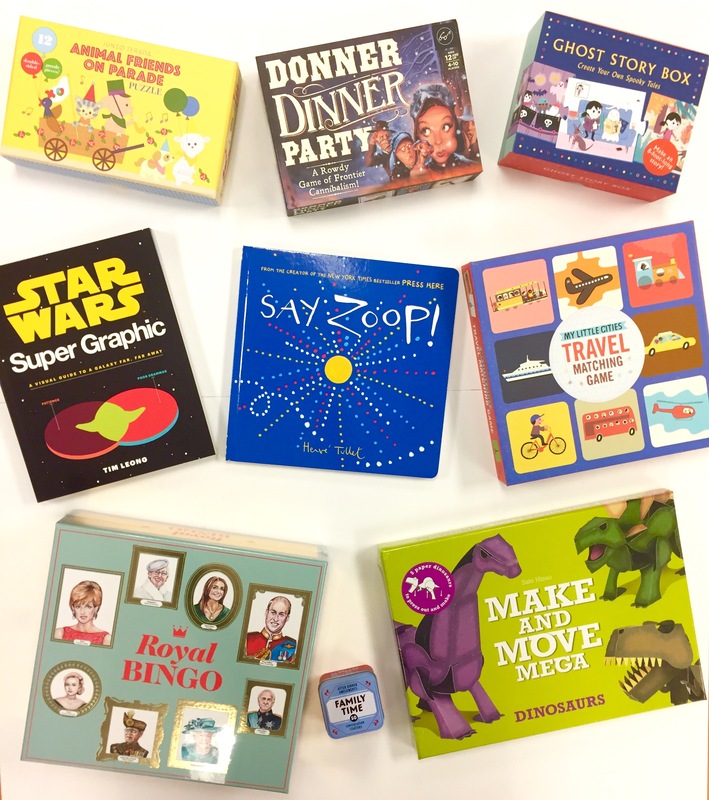 Raincoast Books has put together nine games, activities and books that help strengthen the family bond through laughter. We tested out Royal Bingo and After Dinner Amusements: Family Time and had an amazing time! Who doesn’t love learning about the royal families? When I saw this game I thought immediately of my Mom who is a HUGE royalty fan. She loves the English royal family but will read books, magazines and more about all the royal lineages. This game was pretty cool as you were able to learn about more than just the popular royal names and you were given a bit of background about each one. It takes Bingo to a whole new level while being great for young and adult players a like although I have a feeling that adults will love and appreciate this one a tad bit more! This was an amazing way to get our kids and us talking about our family – what we loved and more! It had great questions and thought starters. We pulled it about an hour before bed time and let the kids choose three questions. While we answered the questions we also found ourselves discussing even more about what we want to see more of in our family time, what we want to do in the upcoming year, etc. We also set a monthly mini golf challenge and formed our teams. It was fantastic to have this time dedicated to talking about us. From a gorilla in a party hat to a hedgehog rat-a-tat-tatting on his drum, these animal friends from different habitats—the jungle, farm, woodland, and Arctic—know that togetherness is something to celebrate. Featuring twelve double-sided uniquely die-cut pieces by artist Junzo Terada, this fun puzzle offers (nearly) endless combinations, providing hours of entertainment. Graphic design guru Tim Leong presents STAR WARS trivia via playful pie charts, bar graphs, and other data-driven infographics. From a Venn diagram of Yoda’s idiosyncrasies to an organizational chart of the Empire to a line graph of Grand Moff Tarkin’s management decisions, STAR WARS SUPER GRAPHIC shines a new light on the much-adored universe. Equal parts playful and informative, this visual love letter to the vast STAR WARS universe will enchant fans of all ages. 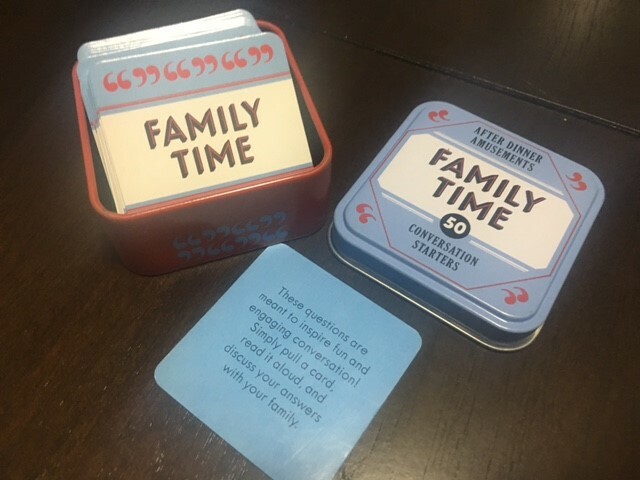 Now my Canadian readers have the chance to win one of the above games or activities of their choice to help them plan out their own family activity night! Enter via the Rafflecopter form below. Good luck! Disclosure: I received two of the above mentioned books in order to facilitate this review. All opinions expressed are my own. This entry was posted in book review, giveaway, Raincoast books, review. We would love to read STAR WARS SUPER GRAPHIC because we are a Star Wars loving family, and we would learn a lot from this book! Big fans of dinosaurs in this house so Make and Move Mega: Dinosaurs would probably get chosen. I would have to say the Star Wars: Super Graphic because we are all Star Wars fans in our house. I would choose Animal Friends on Parade for my son who loves animals. I would choose About After Dinner Amusements: Family Time because it looks like a good way to spend some time with my family! Good morning,what a wonderful selection but i would choose the Ghost Story Box for my granddaughter she would love it ! We would love the Ghost Story Box in our house, my daughter loves making her own stories and I think she would really love this format! I would choose the Royal Bingo game because we love royal families in our house and it would be such a unique bingo game to play while learning about different royalty! Ghost story box for my little storyteller! It looks like the Raincoast Books Facebook link in the giveaway is broken. Royal Bingo would be my pick! Fun for the family and my youngest is fascinated with royalty! 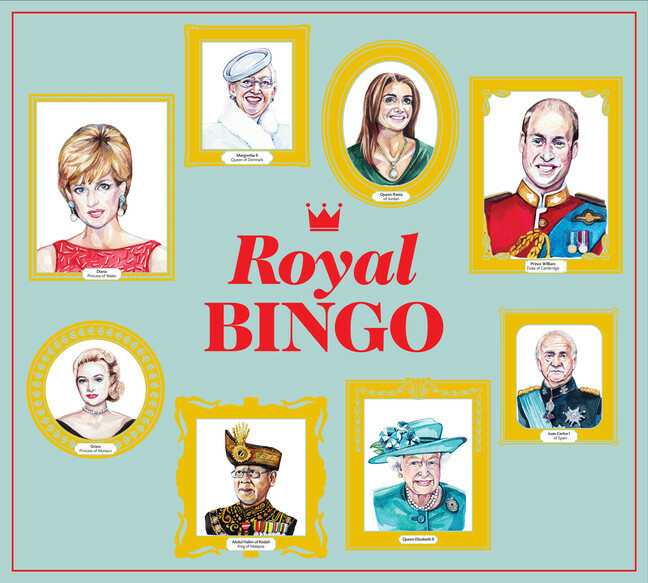 I would choose the Royal Bingo because I know my son would enjoy playing that one. Thanks! I would choose Donner Dinner Party because I love mysterious games.